In this 2nd chapter of our Parisian lifestyle guide, we share our favorite spots and practitioners for much needed - and much deserved - self care in the city. From massages, to sweating to an energetic overhaul, get out there and experience the magic. Situated in an apartment hidden behind a small stairway on the 7th floor of a picturesque office building, Ladda boasts six massage rooms, a hammam and such a special experience that it feels that time doesn't exist. Deconnecting is a no-brainer from the time you cross the threshold through wisely mastered design, an eclectic book collection, a panoramic deck overlooking the romantic Paris rooftops and minimal yet comfy furniture. And those massages. The traditional Thai massage - with or without oil - is executed with a tonic touch by expert hands, stretching, pulling and relieving all signs of tension (But be prepared for a bit of physical intensity!) but reflexology is also a good option. Save some time afterwards to share thoughts with the attentive hosts on anything from rituals to femininity while sipping on a cup of genmaicha. Open up up to the magic of the space and place. One session in the Iyashi Dôme (a sort of Japanese sauna) produces an amount of perspiration equivalent to an intense running session but without the impact to joints and the overall ensuing fatigue. Add to that improved skin density, a glowing complexion, tightened skin, deeper sleep and a soothing effect on both muscles and the nervous system. But wait, there's more: the dôme also eliminates those tricky heavy metal toxins (think: salmon, tuna, exhaust fumes and cigarettes) that get stocked in our body and gradually poison us. And for particularly active women with intense practices, we suggest booking a session before training for prep or afterwards to recover and relax. Breathe is a new meditation studio operating from within emerging label Yoga Searcher's lifestyle shop on Boulevard Beaumarchais. The female founders of this French athleisure and beauty brand from the activity-oriented South West France, are establishing themselves as wellness pioneers in Paris as well, by providing a meditation space with an open door policy for multiple techniques and methods, and classes led in both French and English. On the menu: mindfulness meditation, breathwork, Buddhism-based, active meditation, sounds and chakra meditations, nidra, yin, mantra and silent meditation... Whatever your style, needs and level, Breathe proposes a path for you towards increased awareness and inner peace. 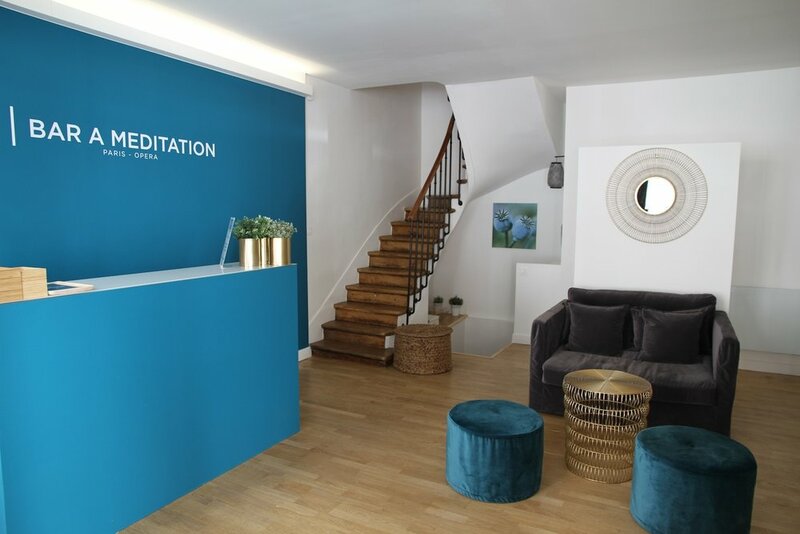 Located smack in the middle of the Opéra - Pyramides - Palais Royal triangle, the Bar à Méditation's mission includes not only providing a quiet place for existing meditators to pop-in and sit down, but also efforts to democratize and demystify this swiftly growing practice in France. The team is available to patiently answer questions, guide clients in their choice of methods, and expound upon the technique's benefits such as stress relief, an aid for chronic fatigue, improved concentration and an overall increased sense of happiness. For the most comprehensive experience, the center offers an 8 course program that includes an introduction to mindfulness meditation, breathing techniques, thought and emotion observation and meditation for "loving kindness". There are also sessions for children and in English, plus a small room that can be privatized for small group meditation. Marianne Michallet Gordon is a Paris-based certified Feng Shui expert who consults worldwide using modern technology. Her mission as a Certified Feng Shui consultant is to change people's lives by listening, transforming and empowering them. She helps people balance the flow in their spaces so that they can experience more happiness and more equilibrium in their lives. On one level, this includes suggesting changes in their homes and decor ideas. She can also be involved in finding a plot of land for clients; working with architects, designers or anyone involved in the construction or renovation of a building; working with real estate agents to find a an apartment for their clients... Her technique is a holistic approach that combines mind-body-home awareness techniques. Inside/Out contributor Kim Laidlaw describes the Free Persephone spa as a "country cottage-style day spa" in "a bucolic setting". "The warm and welcoming space features chintz armchairs for pedicures and a large wooden table for the communal manicure station, taking you on a quick country break while in the heart of the Left Bank." If you, like most Parisiennes, love the city madly but dream of escaping to the countryside every weekend (so as not to literally go mad), Free Persephone provides a pleasant placebo for the city-bound. 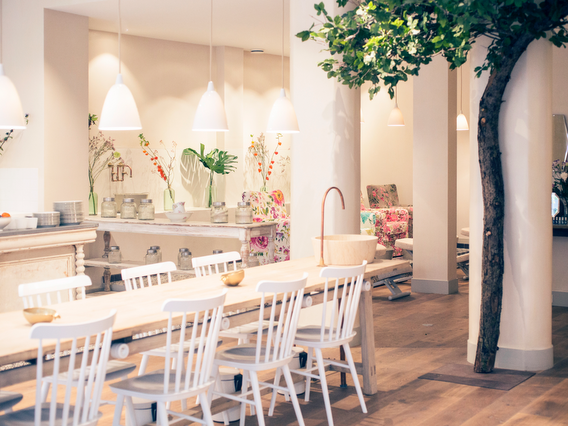 Maison Hälsa Paris was founded in 2014 by Magalie Bilhou, a reflexologist who brings freshness and a French touch to the ancient Chinese practice. During her first career in fashion and photography, Magalie discovered reflexology and went head over heels (and feet) for it. 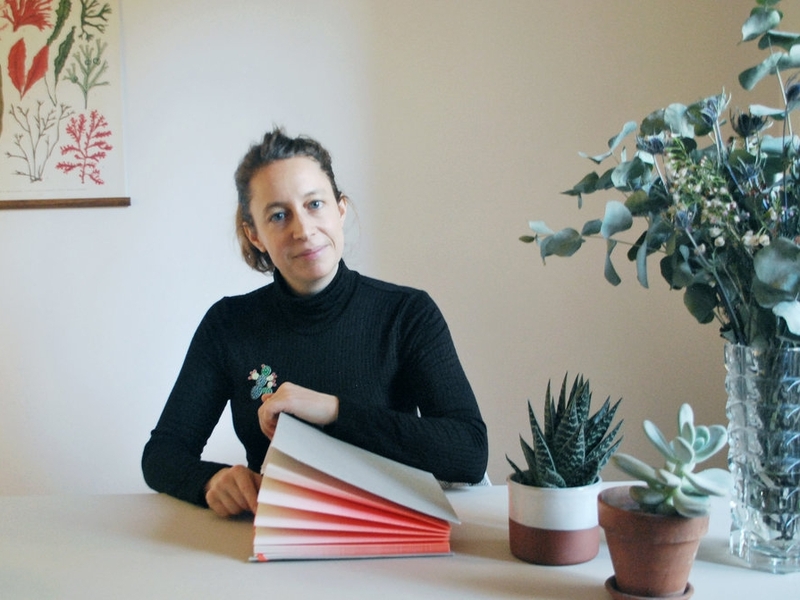 Two hundred hours of training later, she founded the House of Health ("hälsa" is Swedish for "health") and now zips around town to treat her devoted clientele in their homes, offices and at Le Tigre. "Tui" means "to push" and "Na" is "to take". The massage of the same name is therefore based on a combination of pushing and pulling, a sort of kneading technique with some similarities to shiatsu as well, as the movements trigger pressure points to move blocked energy, imbalances and muscular tension. La Maison du Tuina is a go-to for a quick fix after a long day (week...month...) hunched over, staring at the computer screen; post flight for the draining and stimulating face lift massage; and monthly for a premenstrual SOS stomach massage. Free the chi. Jane-Lise Villegas is a naturopath and a consultant for natural healing and nutritional well-being. In her words, naturopathy is a way to soothe, limit and prevent health issues, by taking more natural paths in everyday life. With a focus on nutrition, the natural healing powers of plants, establishing healthy patterns in daily life, and on relaxation and breathing techniques, Jane-Lise operates with the utmost respect for her clients' vital energy, and a belief in each person's capacity to self-heal. She will listen to you closely and without judgement, to find specific, personalized solutions for you, and only you! According to Juliet Leger Mairry, studying naturopathy entails learning what is good for you, and not for someone else. It's an individualized pedagogy that allows us to optimize our health through natural techniques. In true Inside/Out spirit, Juliet believes that everything is about balance. When she is not making green juices or practicing yoga, she can be found sharing a good meal with friends. Her philosophy? Enjoy every moment. Like Paracelse would say "All things are poisons, for there is nothing without poisonous qualities. It is only the dose which makes a thing poison."